Groundbreakers get ready as news photographer Mark Ylen prepares to shoot. 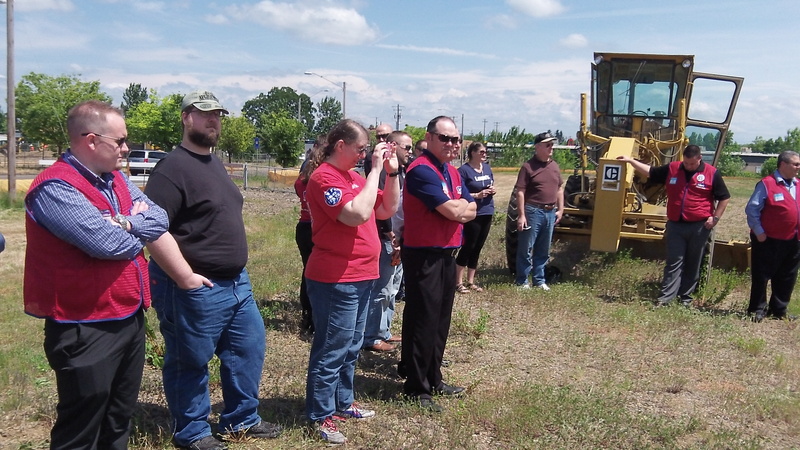 There was the usual assembly of local officials and company representatives to mark the start of construction Monday of Lowe’s Albany home improvement and garden center, and the company man I talked to was confident the builders would beat the Dec. 31 deadline to finish the job. Lowe’s intends to open the 125,000-square-foot store in December, said Tim Shaw, the Milwaukie-based market director for Lowe’s Oregon stores. He told me the company intends to name a manager for the Albany location in September and hire a staff in October. Between 100 and 120 people will be working there. 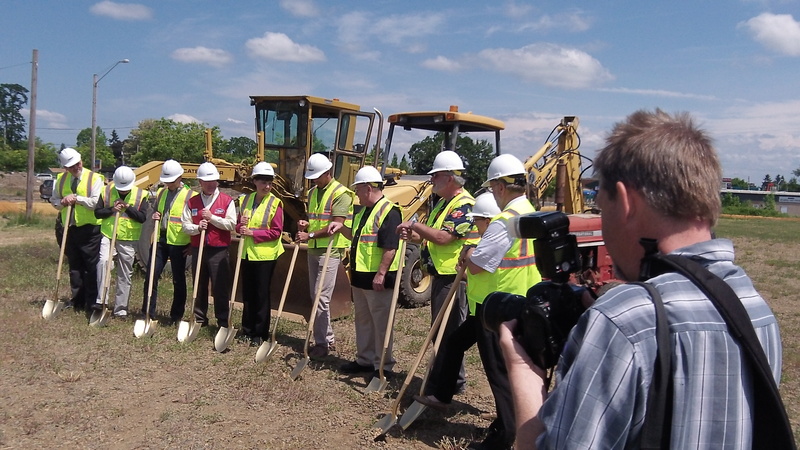 On Monday afternoon, about two or three dozen people gathered at the site, off Oak street and busy Ninth Avenue, for the obligatory groundbreaking. They included members of the city government including the mayor and council, as well as a group identified by their shirts as Lowe’s employees. Under a development agreement with the city of Albany, the store has to be open by Dec. 31 or the company faces penalties. Robinson Construction Co. of Hillsboro is the contractor. As far as I could tell, nobody was there from Home Depot, the chain in roughly the same line of business as Lowe’s. Home Depot has had a big Albany store on the east side of Interstate 5 for about 20 years. 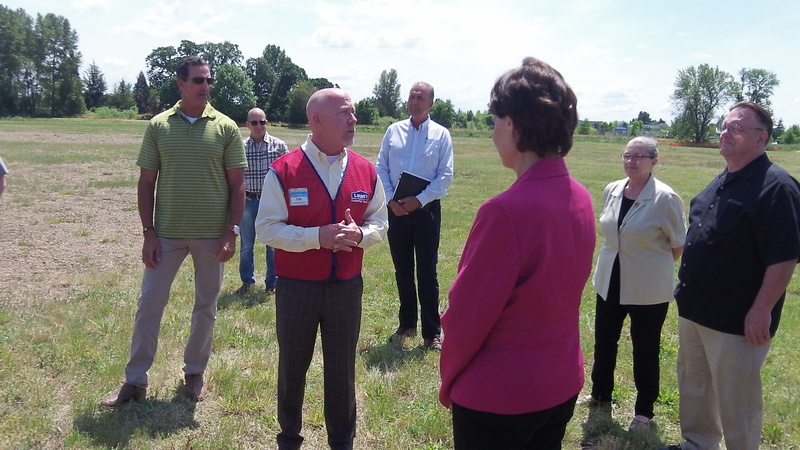 Lowe’s Oregon market director, Tim Shaw, talks with Mayor Sharon Konopa. On hand for the groundbreaking were Lowe’s employees and others.